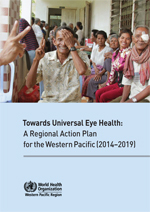 The Global Action Plan for Universal Eye Health was adopted last year. The focus now moves to the regions and implementing countries. 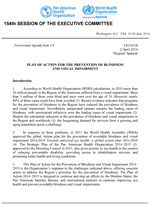 Here are the 3 key regional documents that focus upon implementing GAP at the regional level – from the regions of Eastern Mediterranean, Latin America and North America ( together as PAHO) and the Western Pacific.